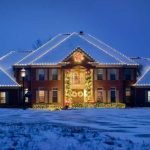 Though occupied homes can also benefit from a quick winterization, vacant houses are particularly prone to damage during extended periods of freezing temperatures. 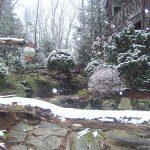 By winterizing a vacant house, you are protecting your investment, and keeping it in good condition so it can be sold, rented or otherwise inhabited at a moment’s notice without worry of unforeseen issues. 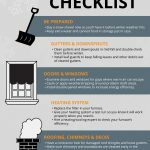 If you own property in a cold climate that’s prone to long winters, here are a few suggestions that will help you in winterizing it. First of all, it is advisable to leave the heat on very low. Though it might seem like a waste of money or energy at first glance, a minimal heating bill will be less expensive than the cost of potential repairs if everything were to freeze up. There are many systems and components in a house that are meant to be kept at or near room temperature. By using your furnace or boiler at a low level, you are keeping these things secure. Most people know that a big part of winterizing is dealing with pipes and plumbing. If you have turned off the water, hopefully that means the house was plumbed on a downgrade so you were able to drain all the pipes completely and eliminate the chance of water expanding inside them and breaking the pipes. If not, it usually is advisable to leave some water running through the pipes by turning on the fixture closest to where water enters the house and at the farthest point indoors, say in an upstairs bathroom. It needs to trickle constantly to keep water flowing. 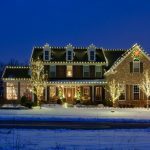 It is also advisable to wrap insulation around the water heater, the pipes leading to and from it and insulate any pipes exposed outdoors, in a crawl space under the house, etc. If the pilot light is left on, it is not necessary to drain the water heater, but if not, then it probably should be drained and turned off. You might call a local plumbing company in your area to discuss whether you should turn the water back on or not. It is not a bad idea to put some antifreeze in both the tank and bowl of each toilet. If the heat goes out and water inside the toilets freezes, it could crack the china fixtures. Need to find a pro for your ? 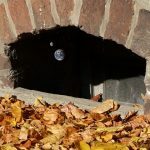 Winterizing your plumbing and water systems might be the most important aspect of winterizing in general, but coming in pretty close is inspecting your roof and cleaning out your gutters. 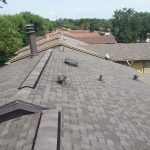 The roof and attic of a vacant house might be left alone for very long periods of time, so getting a roof inspection for about $500 before cold weather hits is a fantastic idea, and could end up saving you some serious money in the long run. 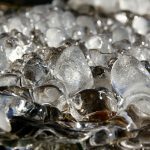 Gutters, like plumbing, can develop real problems if ice is allowed to build up in them. Having your gutters cleaned before winter begins will reduce the risk of too much ice forming inside them. Finally, make sure someone checks on the house every week or two, if at all possible. 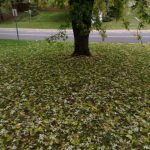 Though you can certainly take precautions such as winterizing whatever you can in and around the house, unexpected situations can still occur. A quick look around done periodically for as long as the house is empty (even during warmer weather) can mean the difference between a problem being caught early enough to be fixed before any damage is done, and a problem that’s left unchecked long enough to cause hundreds or even thousands of dollars in damage. 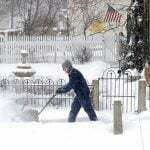 Want to know how much to winterize a house, just to compare the price in Libertyville, IL. Thanks!